The Scorpions have announced the first series of dates for a fall North American tour with special guests Megadeth. Shows will begin in Reading, PA on September 14, with dates currently running to mid-October and more to be announced. “When our album Crazy World was released back in ’91, right at the end of the cold war,” explains singer Klaus Meine, “we toured around a world that was pretty crazy back then, but there was so much hope in the air for a more peaceful future. Now 26 years later, things are getting more crazy every other day. The first date of the Crazy World North American tour to go on sale is the October 7 show at The Forum in Los Angeles – the presale runs March 23 from 10a-10p local time ahead of the general public tickets, which will be available March 24 at 10am local time. Ticket details regarding the remaining dates will be announced soon. 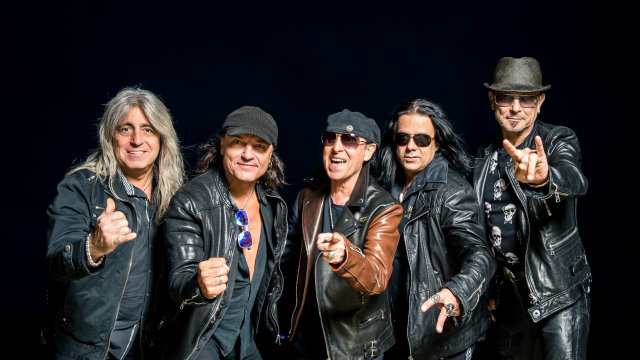 The Scorpions – who made former Motorhead drummer Mikkey Dee an official member last September – will play a series of European festivals over the summer ahead of the fall trek.